Have you ever wondered if there’s a precious metal which is perhaps a little more exclusive than gold or silver? 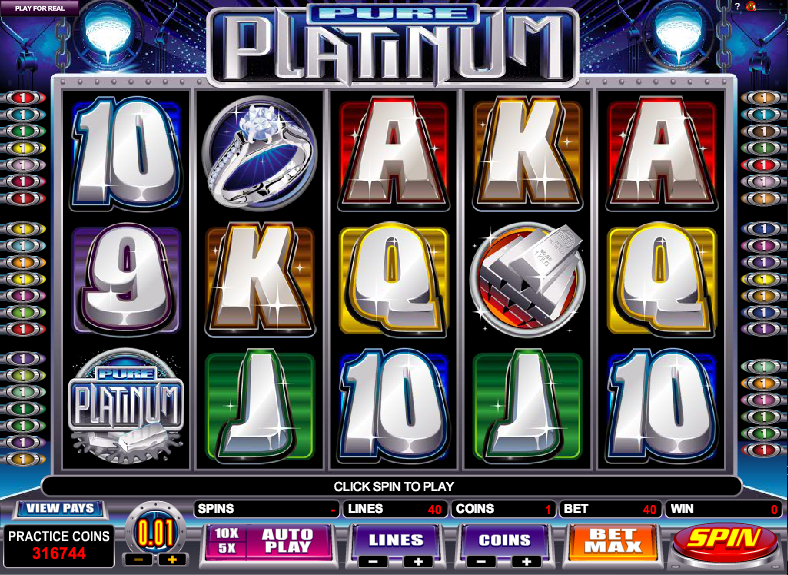 Pure Platinum is an online slot machine from Microgaming which suggests that there is. As the name suggests it is of course platinum, an incredibly rare substance that is more expensive than either gold or silver. 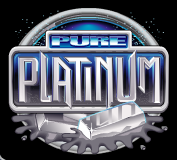 Pure Platinum is a game which celebrates this magnificent material; it features five reels, forty shiny paylines and bonus game in which you can win a massive fifty free spins. Everything sparkles on the screen when you play this game which highlights the impression luxury and wealth. The symbols are also signs of luxury and there’s an expensive watch, a diamond ring and pure platinum bars. Even the 9, 10, J, Q, K and A are designed to look like platinum bars. The scatter symbol is a platinum recording disc and the wild symbol is the game’s logo being dipped in molten platinum. Once you’ve chosen, just start the spins and watch as the money pours in! The Pure Platinum wild symbol is stacked in the base game and the free spins; this means that wilds will sit on top of each other, giving you more chances to create winning combinations. The big decision here is how many free spins to pick and with which multiplier; as you can’t re-trigger the feature, there’s not much benefit from so many spins. We prefer either the 25 or 10 free spins with the greater multiplier.